We love to perform! 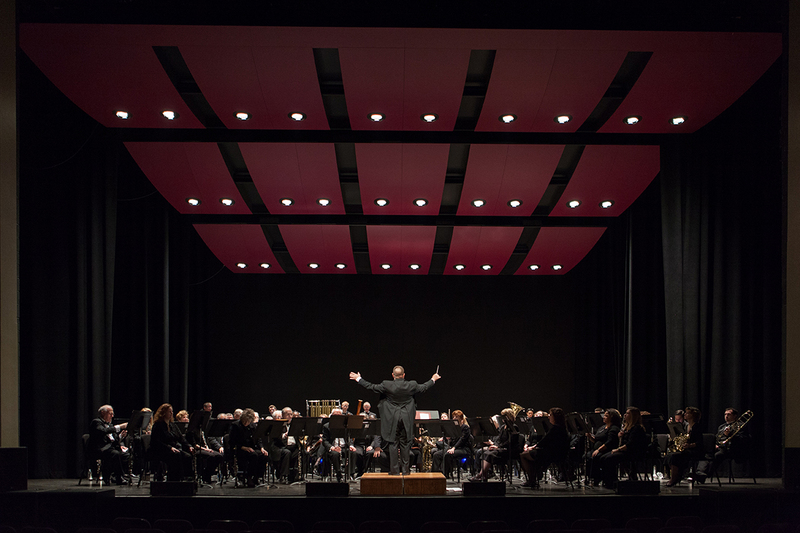 The Hanover Wind Symphony is frequently invited to perform in concert series and for special events throughout the greater Morris County area. A Premier Concert BandRoughly one-third of our musicians have been playing in HWS for at least 15 years. We even have some founding members with us for over 30 years. That kind of longevity shows a dedication to the music and the group. Since all the musicians play together on a regular basis, there is a unity and cohesion of sound which is not obtained from most bands. The HWS guarantees that the ensemble presented is indeed the HWS. The only exception to this is when we have guest players, due to member absence or to fill an extra part. RepertoireHWS has performed in a variety of concert halls, high school auditoriums, hotels, festivals, and outdoor parks. As a result, we understand how to please many different types of audiences. Our extensive repertoire includes both popular favorites and “serious” wind music. We can tailor the program to your preferences. SoloistsHWS has brought in guest soloists from time-to-time to enhance the concert experience. Musicians range from local celebrities to principal players of the New York Philharmonic to international soloists. Single Point of ContactThe HWS appoints a concert manager for each concert to serve as single point of contact. This keeps the lines of communication open when working out the details of the performance. HWS RatesThere is no standard rate as every enquiry is looked at on a case-by-case basis. To discuss your project in more detail and to get a quote, please call 973-ANDANTE (263-2683) or email info@HanoverWinds.org to learn more about hiring HWS.